This news is redirected by The Secretariat for Development Cooperation at SCIENCE from the Department of Food and Ressource Economics. Better management of protected wildlife areas in the transboundary area covering southern Tanzania and northern Mozambique could enhance the protection of elephants from ivory poaching, a new study shows. Particularly in the dryer and warmer parts on the Mozambique side of the border and in the community-managed protected sites in Tanzania much is to be gained by better management and stronger enforcement, the international study led by the University of Copenhagen finds. African elephants have been the target of a recent surge of poaching driven by demand for ivory. 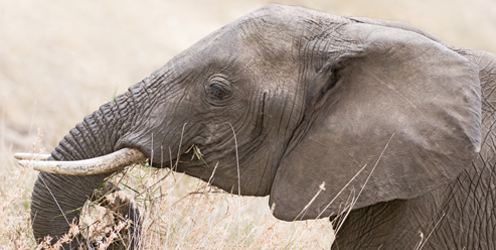 During the period 2008–2012, an estimated one hundred thousand elephants have been killed across the African continent. Most of the ivory currently seised worldwide originates from the Ruvuma landscape across northern Mozambique and southern Tanzania. Information on the complex geographical characteristics of elephant poaching in this poaching hotspot is critically needed to end the slaughter. “Our study shows that effective management of protected areas is essential to tackle poaching of elephants. Effective management is typically perceived as a question of patrolling and law enforcement capacity. However, community engagement and collaboration between communities and authorities managing adjacent protected areas is also important in ensuring compliance and generating local support for conservation in protected areas and hence for conservation outcomes,” says dr. Noelia Zafra-Calvo at the Natural History Museum of Denmark. 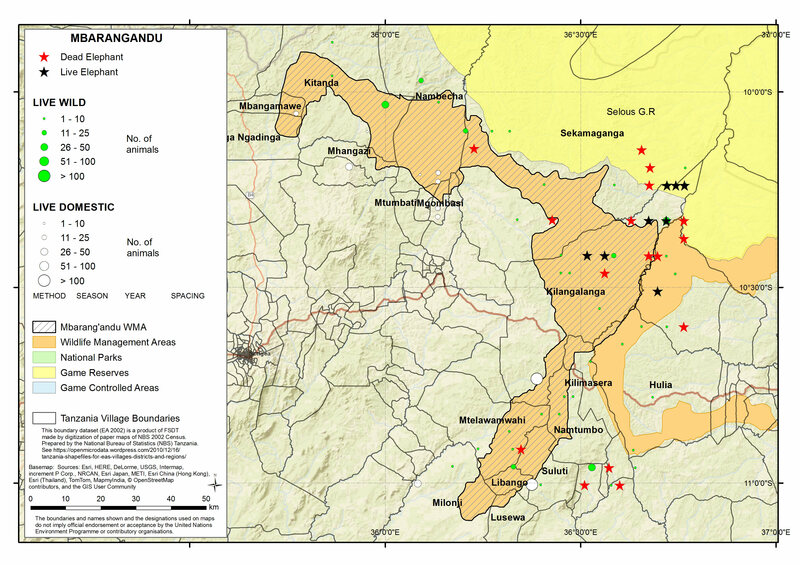 The newly published study employed a spatial modelling approach to quantify the relative contribution of multiple climatic, ecological, human and protected area management predictors of the number of elephant carcasses found and their distribution across the landscape that includes the Niassa Reserve and Quirimbas National Park in Mozambique and the Selous Game Reserve in Tanzania. Aerial censuses were conducted during the dry season (September/October) using small fixed-wing aeroplanes counting the number of live and dead elephants in the landscape. 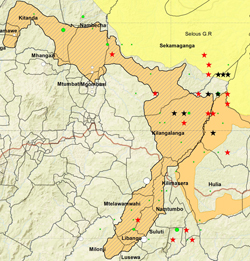 The map shows Mbarangandu Wildlife Management Area (a community-based protected area South of the UNESCO World Heritage-listed Selous Game Reserve in Tanzania). Red stars symbolise elephant carcasses observed. The number of elephant carcasses in Mozambique was mainly determined by climatic and ecological variables with more carcasses in drier and warmer areas, whereas non-environmental predictors appear to be most important in Tanzania. Hence, in Tanzania higher concentrations of elephant carcasses were detected in community-managed protected sites – so-called Wildlife Management Areas. In Mozambique, on the other hand, the study found a strong positive association between the number of elephant carcasses and the government managed Niassa reserve. The results suggest that poachers in Tanzania hunt elephants at any available site independently of its accessibility and biophysical characteristics, while poachers in Mozambique select the most favourable areas for killing elephants. The study was conducted under the Poverty and ecosystem Impacts of Tanzania’s wildlife Management Areas’ (PIMA) project funded by the Ecosystem Services for Poverty Alleviation (ESPA) programme.